The Incredible Sulk, Other Dan dips into the big bag of FAIL, another inaugural, a glorious 50th celebration, the cow / camel / Cowell Club and the EDF nearly block our way home. After enjoying the inaugural Osterley parkrun last week, this week we travelled across London to the inaugural Southwark parkrun. The Son was up for a Saturday morning London road trip but a different person seemed to emerge from the pod in his bedroom as I was getting ready to leave. At first he wanted no part in going to parkrun so I told him that was fine, that he could stay home, but he would end up regretting missing an inaugural event. Some incomprehensible mutterings filtered out from his bedroom lair and The Son proclaimed that he would go but had no intention of running. Fine. His choice. I quickly stuffed his running kit into a bag in case he later changed his mind, when suddenly my phone began to alert with a message from Other Dan. Our first stop was meant to be picking Other Dan up from Hanger Lane station but he hadn’t checked the status of the Central Line. Trains not running all day due to scheduled maintenance. Doh! Just me and the Incredible Sulk heading to Southwark. We arrived at Southwark Park and took a space in the car park off Hawkstone Road with 10 minutes until parkrun o’clock. Thankfully The Son had changed mood from DEFCON 4 down to DEFCON 3 and asked me if he had any running kit in the car. I handed him the bag I packed earlier and he changed all ready to run and not spectate. The start / finish area is a few minutes walk from the car park and it was sad to walk past a fenced off running track that has fallen into disrepair. The start area was bustling with parkrun tourists, local runners and a team of new fantastic volunteers. There was also a large banner on display to celebrate the 50th parkrun of zoecakes. I have not had the pleasure of meeting Zoe or reading her blog before, but she clearly has a great family and warm set of friends. 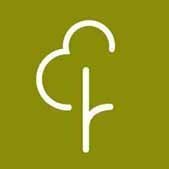 Her blog entry about her 50th parkrun is well worth a read. The pre-race announcements also included a mention for Danny Norman who was running his 334th parkrun at his 100th different venue so joining the (unofficial) Cowell Club. I won’t talk about the course or other notable events as they are all eloquently described and illustrated by both by blog7t and abradypus. However, I had a really nice time running and chatting with The Son with no thought of running fast or hitting a specific time. We made a brief stop at the café afterwards where The Son ordered a hot chocolate to go, which he marked as 6 out of 10, and then began the drive home. The roads leading up to London Bridge were swarming with police vans as they prepared to police a planned EDL march later in the morning and we seemed to escape just in time to avoid the road closures. Yet another fine addition to the parkrun family.